A couple of years ago I would have scoffed at myself. 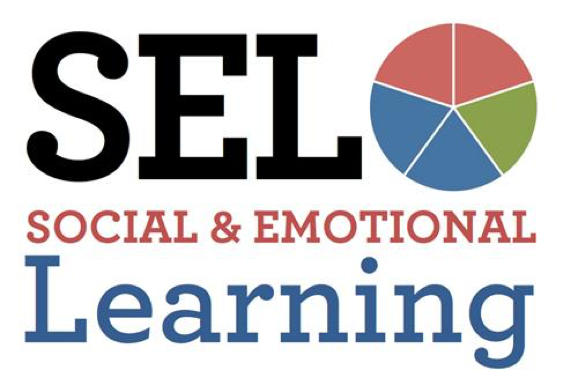 I would have said that SEL is a new touch-feely trend in education destined just to add one more thing to the already overcrowded plates of teachers and administrators. And then I started paying closer attention to students and to teachers, and to the interactions of students and teachers. In one of "my" schools, I witnessed a young boy slamming open the classroom door, then slamming it shut, and then heard him walking down the hall pounding on the wall. Second grader, maybe third. It was an explosive response to a teacher's quiet request. She looked at me. She had 24 or so other kids in the classroom. The phone was across the room. I got up and went after the student. I pulled him down to sit on the floor next to me. It was easier than trying to kneel to be eye-to-eye and then we didn't have to be eye-to-eye. "So," I asked, staring at the opposite wall, "what's going on?" I felt him shrug because he was leaning towards me. I leaned back. He tensed, then relaxed a little. "Oh. Okay. I thought you were upset the way you slammed the door. My bad." After a few minutes of quiet, the two of us just sitting there, came the torrent of what was bothering him that had little to do with what the teacher asked or how she asked it but that she asked and, in that moment, he felt picked on. We took a few minutes to discuss why he felt picked on and it turns out he'd had a really rough night and a not very good morning. Lots of family stuff. "So now what do we do?" I asked him. I got a quiet "I dunno." I told him I had some ideas and shared those, then asked him what he thought he might do. He started to get up and, because he's young and I'm not and I felt like he needed to feel in charge and needed, I asked him if he could help me up which was really funny because he really didn't know how to do that so we got the silly giggles which helped a lot. As we walked back to the class I asked him if he was good for now. And he said, "For now." Yea, for now. He was an elementary school student but old enough to know that our solution was for that moment and only temporary because there was still stuff going on at home and it would be there when he left school. He wasn't old enough to know how to manage those emotions and fears. In my conversation later with the teacher, I told her what had transpired and she said something I've been hearing in schools for a while. She told me they needed school psychologists or people who could be in the halls when a kid has a meltdown so the student would have someone to listen to them and help them talk through whatever is going. She, like every other teacher, has other students who aren't acting out, who aren't throwing chairs, who aren't tossing books or iPads or Chromebooks out of frustration or whatever attitude is gripping them. She couldn't chase the one. Because I was there, she could attend to her students knowing that the one was being taken care of. If I hadn't been there? She would have interrupted her lesson even more to call the office so someone could come to get him to take him to a buddy room or the timeout space or whatever they have for kids who aren't behaving. And what happens during that time? Nothing. The kids sit in those spaces still angry, still frustrated, and even more convinced that no one cares about their feelings or them as a person, even if they can't frame it in those terms. Then that student eventually returns and because the emotions haven't been handled, that student is still simmering or even angrier or more frustrated AND further behind. 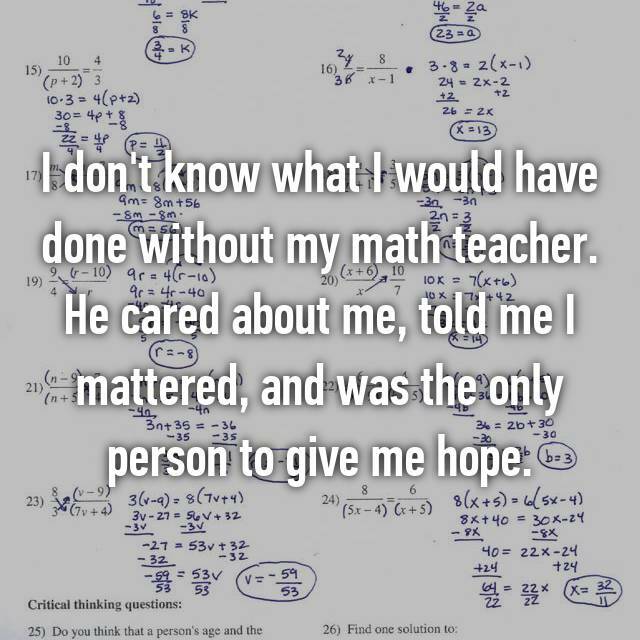 That is just one of many examples of how I've learned firsthand the value of social emotional learning. But let's start with what that is if it's not some eduspeak buzzword. According to CASEL, SEL "is the process through which children and adults acquire and effectively apply the knowledge, attitudes, and skills necessary to understand and manage emotions, set and achieve positive goals, feel and show empathy for others, establish and maintain positive relationships, and make responsible decisions." 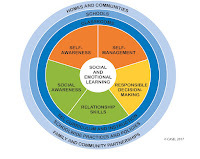 Their wheel of the five core competencies provides a framework for their work in SEL. Okay, so that's a definition with a nice graphic, but what does that mean for students and teachers in the classroom? Because SEL cannot be a one-way street: kids have to be part of the conversation. Ideally parents or guardians would be involved, too, but starting with the kids helps. Researchers Roger Weissberg, Joseph A. Durlak, Celene E. Domitrovich, and Thomas P. Gullotta try to explain this more in their book Handbook of Social and Emotional Learning: Research and Practice. They explain each of the core competencies and explain the value of students being able to manage themselves, make better choices, etc. Right on. That's good for everyone. If you're anything like me, you want to know how. 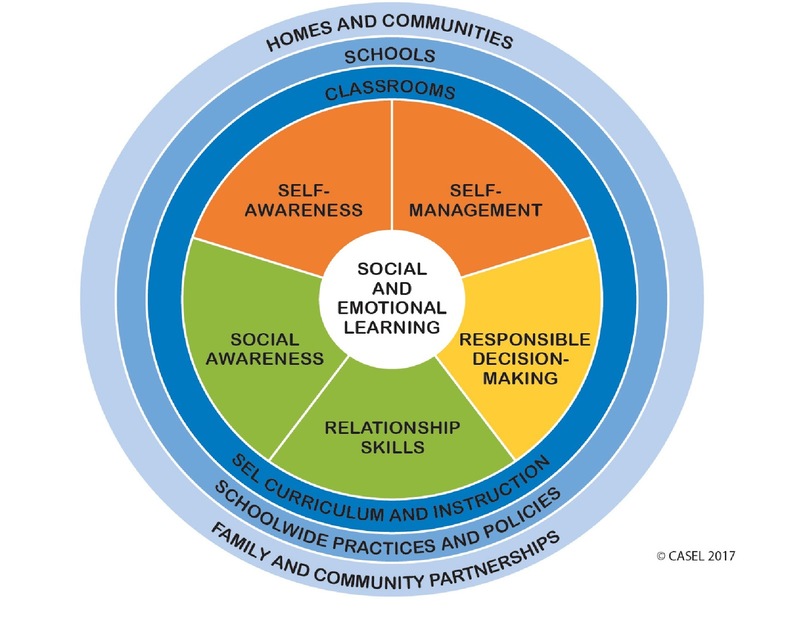 How do I integrate SEL? How do I help students learn to sort out whatever is going on at home or even at school and make good choices, manage their emotions, etc.? Emelina Minero offers 13 activities. Okay, some of those make sense for some students and some classes. If you've read them, you're already thinking of the kids who will try to make a joke of some activity because it makes them uncomfortable, perhaps touches too close to an emotion they don't want to feel, or perhaps it just seems stupid for reasons they don't quite understand but that's their usual defensive posture. Elizabeth Mulvahill offers 21 ways to integrate SEL. 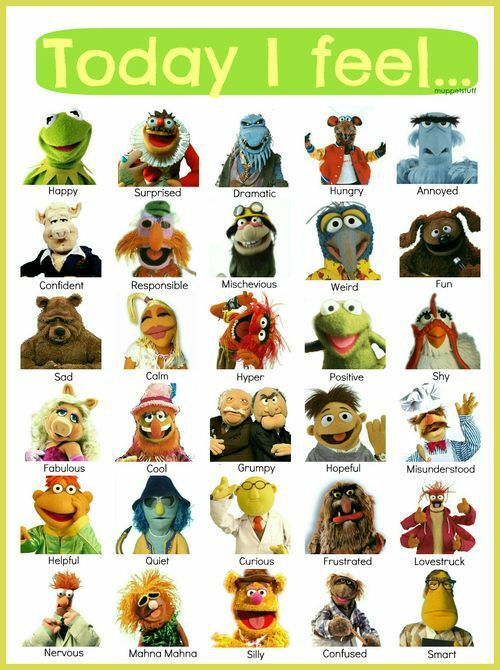 These are mostly designed for younger students but can be adapted for older students, of course. There are some growth mindset and mindfulness in this as well as the other activities, all good. One of the 21 ways is simple: a check-in. Teachers stand at the door and greet their students, getting a sense of how they're doing that day. I've seen teachers do a check-in as students arrive and that's it. And even if the student is feeling sad or grumpy, the teacher might offer a few words of encouragement and that's it. Why? Because 14 kids have already arrived and there are 9 more straggling into the classroom and he has to keep the 14 in check or focused on a task and he has to hurry the 9 stragglers into the room so they can get started. Will he check-in with that student or any others any other time during the day? Probably not. Why not? He's got standards to address and a lot of work to do before the end of the class period or the end of the day. I can hear kids thinking, "If you don't really care how I feel, don't bother to ask me." Why? Because then they'll lie so the teacher doesn't think the student is a loser--student's thought process, not mine--or they'll sink further into whatever funk they're in because the teacher is just one more example of no one really caring about them. We have to remember that they're kids. Even if they're in high school, they're kids and there are a lot of emotions running rampant for a lot of reasons. Kids learn to hide things really well. It's one of the ways they survive. Overly dramatic? Not to them. Yea, I remember being one of those kids and for the majority of my school years. 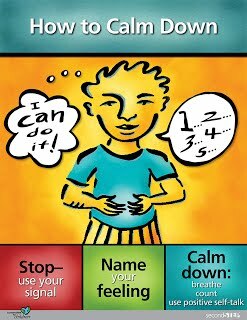 Posters in the classroom might help some students. Games to build community will help many students. Whether the kids are from at-risk homes or apparently nice middle-class suburban homes, students struggle with figuring out their role in the emotional mess. I remember thinking that some of my mother's behavior towards me had to be my fault even though I knew she was angry with my dad. At some level, I understood the vicious circle of my parents' emotional battles. So, like many other students, I learned to play the games, to participate when and where as needed to keep up appearances. One of the reasons I was hospitalized with an ulcer in high school is because I internalized my emotions and found other ways of expressing my anger, fear, and frustration, some healthier than others. I'm not belittling posters or any of these strategies. I think the more resources and options teachers have available, the better. But I also know that many of today's kids need to know that someone cares, really and truly and deeply cares about them and, perhaps most importantly, that someone will listen to them and help them figure out how to make sense of whatever chaos is churning their lives. 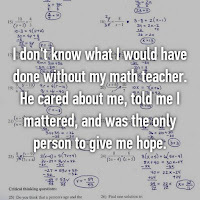 We forget how much one or two kind words can matter because then a teacher gives the student the sense that he or she matters; that someone cares about them as a human being. It might not shut down the anger or help with the frustration, but it might. Angela Maiers is the disrupter and innovator behind the Choose2Matter movement. She's incredibly driven and incredibly passionate about reminding people of the value and importance of these two words: you matter. I have the privilege of knowing Angie and yes, I promote her work whenever I can. If you don't have 20 minutes right now, watch the first 5 minutes of this video to give you a sense of how she's been trying to reconnect people to remember the value of the sense of community, the need we humans have to matter to one another and to belong. Then call her or email her. Book her to speak to your school district AND the community because Angie has been promoting and investing in SEL since well before it was a thing. And even if you don't work with Angie, even if you don't completely buy into SEL as an important component of your students' lives, I can't encourage you enough to invest in your students as individuals. Do more than just check in with them first thing in the morning. Check in with them throughout the day. Let them know that they matter and their presence in the building makes a difference. The Future of Education Depends on Social Emotional Learning: Here’s Why (2018). Social Emotional Learning: A Short History (2011). "The Need for Social Emotional Learning. (1997). Promoting Social and Emotional Learning.